Very few members of the Augusta Library Book Club seemed to have been looking forward to a sojourn in the post-apocalyptic world of Peter Heller's The Dog Stars. As the discussion on March 12 revealed, however, most were pleasantly surprised by how much they liked the book. While "enjoyed" might not be the right verb for a book that takes place in a future decimated by disease and climate change, many Book Club members were engaged by the characters, the insights into human nature, and the poetry of Heller's language. A few didn't like the book's first section, which they found frustratingly slow. Even so, most found that the pace picked up significantly in the second half. As one member put it, "The book unfolded." Most Book Club members especially liked the note of hope at the end, and there were some enthusiastic conjectures about the fate of the protagonists as well as the entire human race. 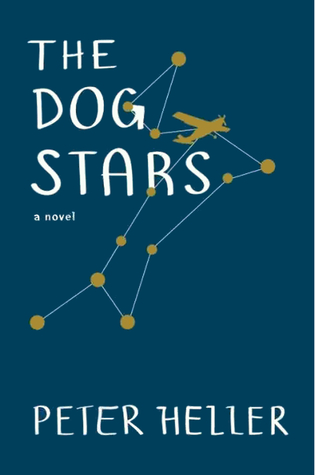 While The Dog Stars wasn't a book that most members would have opted to read on their own, most indicated that its poetic and thought-provoking nature made them glad that they did. The April Book Club selection is Gone Girl by Gillian Flynn. Copies have already been ordered for current members. Anyone wishing to join the Book Club for the first time can still order their own copies, though. They can either use the MORE website, call the library, or speak to a staff member about obtaining a copy. The next Book Club meeting will be at the library on Wednesday, April 9, at 6:30 p.m.